Peripheral artery disease (PAD) is a silent killer that many patients don’t know they have until they experience its consequences. Over 8.5 million Americans are living with this disease, which puts them at risk for stroke, heart attack, and more. In 2018, NATF will be focusing on PAD to help patients learn about what it is and what symptoms they should be on the lookout for. 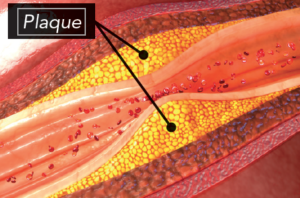 Peripheral artery disease is a manifestation of atherosclerosis in which the buildup of cholesterol-rich plaques causes narrowing of the arteries of the legs, resulting in a significant reduction of blood flow to the muscles and other tissues. 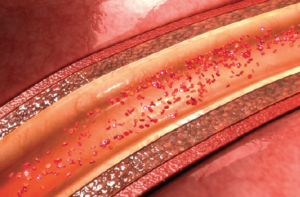 Atherosclerotic plaques can develop in many other arteries of the body, and the presence of a blockage in one artery is usually a sign that plaques have developed in other arterial beds. Indeed, PAD is often associated with coronary artery disease (CAD), in which plaques restrict blood flow in the vessels of the heart. “Patients that have PAD, which is caused by blockages in the vessels that bring blood to the leg, very often have blockages in other vessels, such as the vessels of the heart,” explained Dr. Umberto Campia, a vascular medicine specialist at Brigham and Women’s hospital. Because PAD affects blood flow, it can lead to lifestyle limiting symptoms, disability, and other serious health complications. 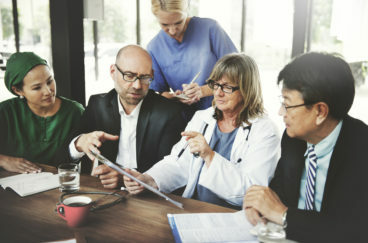 “Patients who have PAD are at risk for 3 main complications: amputation, heart attack, and stroke,” said Dr. Campia, outlining the different risks that PAD patients face. Who is at risk for developing PAD? Certain patient populations are more at risk for developing PAD than others. As patients age, their risk for developing this disease increases. They are more likely to develop other risks for PAD, such as high cholesterol, high blood pressure, or diabetes. Patients who smoke are also at an increased risk. What type of symptoms should patients be looking for? The main symptoms of PAD include pain, cramping, and tiredness in the legs when patients are walking. This feeling often stops if patients stop moving and rest. The lack of specific symptoms for PAD makes it difficult for many patients to get the diagnosis and treatment they need. “The majority of patients who have blockages and don’t have recognizable symptoms, don’t get them treated. The problem is that even if you don’t have symptoms, the fact that you have blockages in other parts of your circulation puts you at risk for heart attack and stroke. Also, the blockages in the legs can get worse and worse and there may not be enough blood flow to keep the tissues of the leg, specifically the feet, oxygenated. So, they may develop ulcers,” explained Dr. Campia. PAD is treated with healthy lifestyle changes and different medications. Traditionally, healthcare providers have focused on addressing the risk factors for PAD to help patients avoid it. This includes encouraging patients to quit smoking and treating related health issues, such as high blood pressure, high cholesterol, and diabetes. Until recently, secondary prevention for patients with PAD meant treating them with aspirin or clopidogrel. However, new results from a recent trial, called the COMPASS trial, are bringing this treatment to the next level. 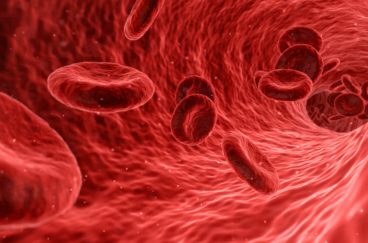 The results of the trial suggest that a low-dose anticoagulant paired with aspirin could help better protect patients. Despite the serious nature of PAD, not many people know what it is or what symptoms they should be talking to their doctors about. In a study designed to gauge general public awareness, only 26 percent of respondents were familiar with PAD. Among those familiar, only 1 in 4 of them knew that PAD increased a patient’s risk of heart attack and stroke. Even fewer knew that it could lead to amputation. 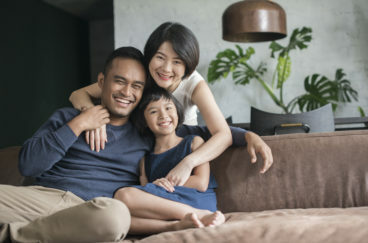 By raising awareness around PAD, NATF hopes to help more patients recognize their symptoms, get diagnosed, and receive the treatment they need.